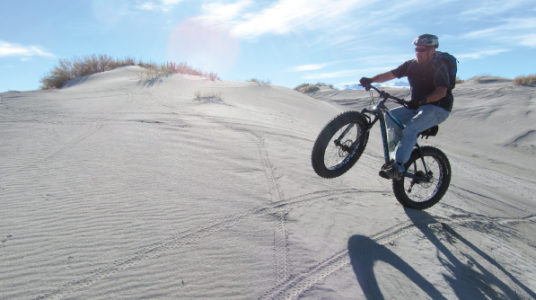 There is no other biking experience quite like riding a fat bike on the sandy beaches of the Oregon coast! Forget all the seriousness of wearing the proper gear, worrying about how heavy your bike is or overthinking your nutrition. Fat biking is all about having fun on two wheels and the brand new Cannon Beach Fat Bike Festival is sure to be a hit with the entire family and riders of all styles. Head to Cannon beach for a weekend of events including fat bike games, a poker ride, a sunset ride and a gigantic bonfire. Fat bikes are available to try. Registration is $12.00 per person online. You may also register at the event.